We’ve already heard by various sources that Nokia has shut down its Meltemi platform, a system that was meant to replace Series 40 feature phones and compete with Androids in the low end, and now more sources confirmed that for Reuters. Meltemi was never officially announced by Nokia. It surfaced in a leaked video with Nokia chief executive Stephen Elop and it’s widely believed to be a Linux-based system targetting more advanced but still affordable phones. Nokia is allegedly putting all chips on Windows Phone and will do its best to have WP devices hit those lower tiers as soon as possible. This is also a move that will allow the Finns to further cut costs in this extremely tough transition period. With this comes a risk, though. Nokia is currently very reliant on its feature phones as Symbian sales have plunged and Windows Phone is not selling well enough to cover up. If Nokia allows Androids to rampage freely in lower end devices with no viable alternative from the Finns, it could quickly start losing its leading position in cheaper phones. "The important factor for Nokia is driving Windows Phones prices low enough to bridge the gap with the feature phones Asha range -- that should happen in 2013," Canalys analyst Pete Cunningham said. They'll just be as laggy, if not, laggier. What do you base that statement on then? Nokia Lumia 610 is apparently just as smooth as its higher-end siblings? Based it on never having used a WP obviously. Android fanboy who says Windows Phone lags makes me laugh a lot, because they don't even realise how stupid and irrelevant this statement is. all eggs in 1 basket eh?? Apple have all eggs in one basket and so does google, and Sony, LG, HTC, etc. They're all betting on Android! and? what's your point? just like lubba said. The same did Sony, HTC, LG and the rest. f**ked up as in bad shape or idiotic. I'll agree with the former but that comes with change in strategy and new direction. There is no guarantee with anything new but that's a bet everyone takes. Hopefully Nokia betting on WP will be a good one. Idiotic, I don't think so. nokia, just adopt android already! Amazing... and Nokia's stock jumped almost 10% yesterday when this news broke (other news may have contributed, but still... wierd?) So, Nokia leaves Symbian (I thought Symbian was great... they let it sag behind the times for too long, but if they had invested some real effort into it they could have developed an EKA3 microkernel which could have supported the better displays of our day, and a better stock browser and simpler email support... other than that, it already supported... in existing EKA2... everything else from USB OTG to HDMI to NFC...) in the dust and kills MeeGo at first release, burning all the bridges behind them as they transition to Windows Phone, and now they have cancelled Meltemi, the replacement for their Java-based Series 40 feature phone platform, and burned that one bridge they were building in front of themselves. Nokia is now marooned, by their own choice, on an island of Series 40 and WP. If Microsoft does in the mobile world what they did in the tablet world with the Surface, then Nokia really will have been used and eaten, and their carcass will be left behind to die on their little Series 40 island. I liked Series 40 as well, but not many other people do... and besides, Series 40, although powerful for a Java-based UI, can never turn into a smart device platform... it is stuck, and has been taken about as far as it can be taken. If they dump Series 40, and hence all future feature phones (likely, since the world is clearly in the process of leaving the feature phone concept behind), then they make themselves entirely beholden to Microsoft, and if they get used by Microsoft they will have very little way to compete in the smart device market. If they do not rid themselves of Series 40, and Microsoft still deprives them of their smartphone market, then they are in just as much trouble as their feature phones are all they will have left in a market that mostly shuns feature phones altogether. They have burned the bridges in front of them and behind them. They cannot go forward to Meltemi, nor backward to Symbian and MeeGo. They are stuck with Series 40 feature phones and future Windows Phones, reliant on Microsoft to lift them to a different place... but Microsoft has a way of sucking their partners dry and heaving their carcasses out to bleach in the sun. At best, Nokia is effectively marooned on their Series 40 island, and now waits for the promise of good will from Microsoft to save them from their stranded status... but I doubt that Microsoft's promise is anything but false. With or without Series 40, Nokia is soon to be dead. I figure that Microsoft will pull a "Surface" maneuver in the mobile phone market, just like they did in the tablet market. Hey Hep!! As usual, love your posts, disagree with alot of it. Yes, they burned all their software bridges. They also do not want to be a software company anymore. The R&D and layers of inefficiency was sucking their profits dry. It was unsustainably. What they are doing is building new bridges. The fact that MS is willing to help them is a bonus. But, Android, open sourced WebOS, Tizen, and all the other options are still out there. They do not want to go back to software development. Microsoft releasing it's own tablets kinda makes sense. That market is wide open and a huge growth potential is there. There is plenty of room for tablets with Windows RT and Pro from all manufacturers, including them. Smartphones- not so much. They have Nokia, Samsung, and HTC with a few other smaller companies to compete in that market which is established and cut throat. It requires huge commitments, and that is not MS's strength. That is what made HP shrivel up and fold, and why I think Amazon is in for a shock. Just because the Kindle fire and e-readers are successful doesn't mean you can make it as a Smartphone maker. MS has all the pokers in the fires they want. Only way they make their own Phones is if one of the big three pull out. When they tackled gaming industry, it was a little like the tablet market- room for growth. They learned from the Kin flop that mobiles phones isn't the same animal. They will happily stay out of smartphone development if at all possible. 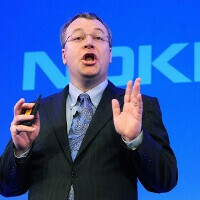 Nokia is going to be fine, and its own independent company for a long time to come in my humble, unimportant opinion. Hope all is good and you are healthy, my friend!! I assume when MS and Nokia start moving forward, all the fan boy clowns will get over it. Right now they live in the dark and can't see what's in front of them. Its just the same as the game console wars. Fan boys were all about Sony and Nintendo. They discounted Xbox. Now all those fan boy haters own one and love it! MS's Xbox bet with a winning outcome. Now it's the phone and pc/tabs turn. Lolzz!!! My son, lord baldmar give me eth strength with wp8. Let us pray. Hallelujah! Lolzzz! Victor H has stayed objective on a Nokia/WP article?! CAN IT BE?!! All jokes aside Victor, this was a nice read. I prefer your articles when you remain objective. Lucky we got anything about MS and Nokia. Have you seen articles from wpcentral? Alot of WP8 leaks and here at PA, hardly anything! Its all about Google this google that. Android this Android that. Apple this Apple that! Oh well..
Ah yet more lunacy from whats left of a once proud company. Most handset manufacturers and OS makers are moving towards an integrated model of OS and handset manufacturing. Except for the brilliance of elop. Take the company away from what the integrated model they once had. Trash the profits. Produce 3 brilliant quarters of massive losses and get your shares listed as junk status. And voila.....rocketing to the bottom. But yes, lets trash another in house OS and go with something that has proven to be successful. More windows phone! What a complete joke. "Im driving towards a cliff. I think dismantling the brakes will help."